There is a sixty mile stretch along the South Carolina coastline known worldwide as The Myrtle Beach Grand Strand. This stretch of uninterrupted white sand beaches and endless tropical ambiance host the residents of Myrtle Beach and North Myrtle Beach. The city of Myrtle Beach was incorporated in 1957, and extends from 84th Ave North, where Hwy 17 Business branches into the 17 Bypass, to the old Myrtle Beach Air Force Base now the Market Common area, right past 28th Ave South. Southern Living Magazine ranks Myrtle Beach as one of its top vacation destinations in the southeast. Many visitors come back again and again, not just because of the lure of the beach, and the surf in the ocean, but area attractions are top rated. This area is not just a great place to vacation, but a great place to live for singles, couples and families alike. The amazing climate and the miles of gorgeous seascape views are just the beginning of what Myrtle Beach has to offer. The options for dining, shopping, attractions and entertainment are limitless. There is an amazing history of the area that is evident through the true Southern flavor of Myrtle Beach and can be seen today in the famous gardens, parks and antebellum plantations. There are over 100 championship golf courses, dining options are numbered in the thousands and for entertainment, the choices range from Broadway musicals to jousting tournaments to amusement park rides. The Grand Strand, Myrtle Beach area offers shoppers an incredible variety as well. Whether you like shop the thrifty outlet stores or the boutique style specialty stores, there is shopping galore. 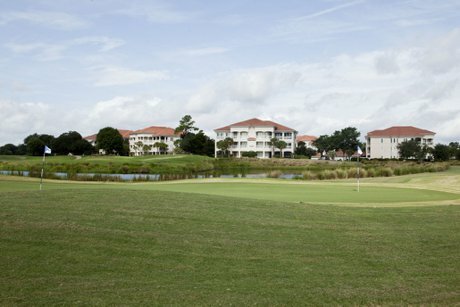 Up and down the Grand Strand, the most sought after condos are either located on or near the beach or the condominium communities that are established around one of the many top rated golf courses. Whether it’s an Oceanfront, Waterway or fairway view, there is a Myrtle Beach Condo for sale that will fit the needs and budget of anyone. Many of the Myrtle Beach condos for sale are inclusive with incredible amenities such as multiple pools, Jacuzzi hot tubs, Water Parks, kiddie pools, lounges, gift shops, restaurants, video arcades, men’s and women’s sauna, lazy rivers, exercise rooms, oceanfront balcony, hi-speed internet and cable. All centrally located with access to everything else that Myrtle Beach has to offer. Call Beach Realty Group at 843-424-6900 to schedule a time to view some of these amazing Myrtle Beach condos.